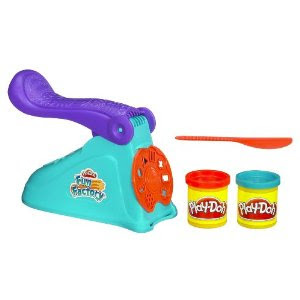 The Chipper Clipper: Target: Play Doh Fun Factory Spin 'N Store + extra Play Doh for $6! Target: Play Doh Fun Factory Spin 'N Store + extra Play Doh for $6! The Play Doh instant win game is printing $2 coupons for the Fun Factory Spin 'N Store set and Target has it on sale for $8 this week! Plus you get a free pack of Play Doh ($1.97 value) when you buy the set. This coupon will only print today but the deal is good until Saturday. If you need a code, try KDN185UV9JN34. Not as good as yesterday's Poppin' Movie Snacks set or the day before's Ice Cream Shoppe Deal...but a good one none the less!